Officials from various political factions Saturday called for intensifying the popular resistance movement, describing it as the people’s choice for this period. Fatah Central Committee member Mahmoud Aloul told audience at the third Popular Resistance Conference held in the village of Qabalan, near Nablus, that the idea of popular non-violent resistance should become the approach of the people throughout the occupied territory. He said Israel would not end its occupation if it does not see it as becoming costly for it. Other speakers also praised the popular resistance saying that it proved to be an effective tool in the Palestinian struggle to end the Israeli occupation and confirmed that the Palestinian people are unarmed and fighting well armed occupiers. PLO Executive Committee member Dr. Hanan Ashrawi called on the Dutch engineering firm, Royal HaskoningDHV, to quickly end its involvement in the development of an Israeli project in occupied East Jerusalem framed by some members of the Dutch parliament as a project that serves Palestinian interests: "Such claims are erroneous and highly misleading. In actuality, this project, a municipal wastewater treatment plant commissioned by Israeli authorities, will be built in occupied East Jerusalem. The primary objective of this plant is to serve and to strengthen Israel's illegal settlements; to deepen its annexation of East Jerusalem; and to consolidate its occupation of the West Bank – not to provide clean water to Palestinians." Dr. Ashrawi added: "Contrary to what some may claim, the Palestinian National Authority (PNA) is not a partner in this project; the PNA has explicitly and repeatedly expressed its strong objection to the project, and such a position has been communicated to Royal HaskoningDHV, as well as to the Dutch government." In a recent public statement, Royal HaskoningDHV emphasized that it conducts its work with the highest regard for integrity and always follow (inter)national laws and regulations: "We warmly welcome this clear commitment and call on Royal HaskoningDHV to act accordingly and to altogether end its involvement with this Israeli project that contravenes international law", stressed Dr. Ashrawi. "We would like to see Royal HaskoningDHV in Palestine and to invite the company to share its remarkable know-how and skills. However, its activities must adhere to international and humanitarian law and be commissioned by Palestinian authorities and contribute to an independent and sovereign Palestinian state on 1967 borders with East Jerusalem as its capital." "I commend the Dutch government for translating its opposition to Israel's disastrous settlement policy into action, in line with EU policy, and for urging Royal HaskoningDHV to end its involvement in this illegal project," concluded Dr. Ashrawi. "Concern over a possible international economic boycott of Israel has been growing. Israel's Justice Minister Tzipi Livni is responsible for negotiations with the Palestinians. At the beginning of the month she warned that if there was no progress in diplomatic negotiations with the Palestinian Authority, the European boycott of Israeli products would not be limited to goods produced in West Bank settlements, but that it would be applied to Israel proper as well". 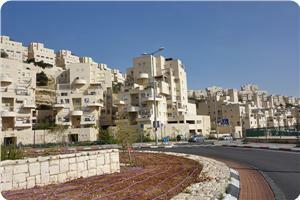 The Editorial goes on to say: "The magnitude of the danger this poses to the Israeli economy is hard to overstate. An European economic boycott of those with any connection to the occupied territories would be very broad. And Livni is warning that it would spread way beyond that. Even at this point, the worldwide Boycott, Divestment and Sanctions movement ‏(BDS‏) has chalked up a not-inconsiderable number of achievements....The need for new, courageous and steadfast policy does not stem solely from the threatened economic damage. The diplomatic and moral price that Israel is paying for the continued occupation is high enough, but now − with Europe talking about stiffening its economic stance − the price that Israel is due to pay becomes substantial and tangible. Israel has only one conclusion to draw from this: To exercise a genuine readiness to end the occupation and reach an agreement, before this major threat becomes a reality". In reality BDS includes three tiers of action. The first one is Boycott which is, in essence, regarded a as non-violent protest undertaken by the members of civil society. It comprises the following three main throngs: consumer boycott, academic boycott, and cultural boycott. 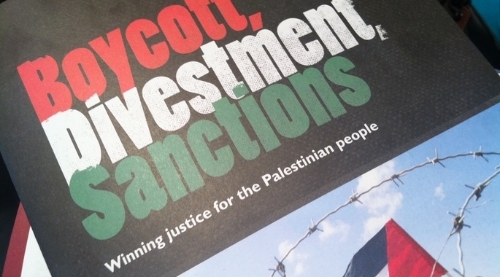 Those forms of boycott are guided by different leading bodies, such as, the Palestine Solidarity Movement (PSC), the Boycott Israel Network (BIN), Jews for Boycotting Israeli Goods (JBIG) , the British Committee for Universities in Palestine (BRICUP), and Boycott From Within (an Israeli outfit) . All of those bodies are committed to the endorsed statements issued by the Palestinian BDS, and the Palestinian Campaign for the Academic and Cultural Boycott of Israel (PACBI). However, in reality there is little coordination between those various outfits. They do not seem to have effective "central command" which would help define priority targets, assess achievements and decide on the next course of action, in line with progress made towards the declared goals. In reality, the BDS declared goals ought to be defined in terms of priority targets (e.g. halting land confiscation and settlement expansion , defying Israel's blockade of Gaza , releasing Palestinians detainees and prisoners, removing the West Bank checkpoints, pushing for withdrawal of the Israeli military from occupied Palestinian land, etc). It follows that the success of BDS tactics have to be constantly re-assessed, and revised in terms of well-defined realistic targets. Otherwise , there is a danger that the BDS campaign would fall into the trap of a piecemeal boycott that is reinforced by self-gratifying partial victories which do not necessarily achieve the actual goals of the overall campaign. In order to achieve BDS ultimate goals the boycott has to reach a "critical mass". That means an active support of both the Western and the Muslim words - including Middle East and Muslim states and Palestinians in the West Bank and Israel (where Palestinian citizens amount to 20% of the population). The boycott campaign has to be backed by an active support of leading organisations such as PLO and the Arab League . Indeed, on July 14 2012 a fresh campaign was launched by the Palestine National Initiative: "in previous campaigns, general-secretary of the PNI Dr Mustafa Barghouti has reiterated that the Boycott, Divestment, and Sanctions movement should be taken up from within the occupied territories as a tactic to not only emphasize the atrocious Israeli occupation policies, but also to absolve the Palestinians from unwittingly perpetuating these same polices against. "It has been recorded that Israel sells nearly three billion dollars worth of goods in the occupied Palestinian territories," Dr Barghouti once stated in a press release. This means Palestinians constitute the second largest market in the world for Israel. The Israeli profits that we contribute to inevitably are used to further suppress Palestinians and expand the illegal settlements in the West Bank and Jerusalem". I believe that, crucially, the Arab league and PLO ought to support the newly launched boycott from within the Occupied Territories by endorsing and demonstrating their solidarity with the campaign. It may not be easy for Palestinian residents of the West Bank and Israel to avoid Israeli products altogether, but they undoubtedly could make a conscious choice of boycotting products and produce which are sourced from the illegal Jewish settlements in the West Bank , or from Israeli companies which exploits Palestinian resources. Moreover, the Palestinian idea of offering certificates to stores which pledge not to sell products from the illegal Jewish settlements in the West bank, or from Israel (see above) could be adopted by the BDS campaign by awarding such a "human rights" certificate to conscientious stores outside Palestine (e.g. the Cooperative store in Britain) and publically placing the model certificate on the campaign's website(s). The Academic and Cultural boycott could also be greatly reinforced by achieving a greater co-operation between supporters of the boycott inside and outside Israel. For instance, a protest undertaken by BRICUP against academics and artists who take up an invitation to officially visit, or perform in Israel could be effectively backed up by Israeli supporters of BDS (e.g. Boycott from Within, and Women Coalition for Peace) who may be able to organise a public protest/picketing in Israel against the boycotted performance/ event. The second tier of BDS extends the campaign to a commercial and financial level whereby public organisations have to be made aware of Israel's constant violation of human rights and be put under pressure to divest from, or disinvest in companies which exploit and profit from Israel's occupation of Palestinian land. the divestment campaign may require some careful planning, such as, identifying the relevant governing bodies , or individuals, who are in charge of the targeted company/financial institution along with the date and location of the company's annual general meeting of shareholders . The campaign had some notable successes. As result of intensive divestment campaign, the Central Committee of the World Churches encouraged the Council's member- churches "to give serious consideration to economic measures that are equitable, transparent and non-violent" as a new way to work for peace , looking at ways to not participate economically in illegal activities related to the Israeli occupation. In that sense, the committee affirmed "economic pressure, appropriately and openly applied," as a "means of action".... The Central Committee takes note of the current action by the Presbyterian Church (USA) which has initiated a process of phased, selective divestment from multinational corporations involved in the occupation". More recently student unions in the US and Britain have been putting pressure on the governing bodies of their own university to divest from companies that profit from the Occupation . Yet, there is a need for a coordinated campaign which would run by a central body, or Co-ordinator, on the lines of the successful pan-European campaign against Veolia. The co-ordinating body may be responsible for identifying and issuing a "black list" of major companies against which divestment, exclusion from commercial contracts, and arms embargo campaign should be undertaken. The Israeli website Who Profits- which is run by the Coalition of Women for Peace -could be used as a tool for identifying and prioritising companies against which intensive campaign should be undertaken. Websites of other campaigning bodies such as the Coalition Against Arms Trade (CAAT)  and War on Want may also be of help. Divestment from arms companies such as BAE Systems, or G4S that supply Israel with security equipment which are employed in checkpoints and in Israeli prisons that jail Palestinians, should be high on the agenda of the BDS campaign. The BDS campaign ought to take some lessons from the global Occupy movement by organising "name and shame" rallies/picketing in financial centres /stock exchanges around the world. This will inevitably attract much-needed media attention and affect the financial standing of those companies (e.g. significant drop in share values). It is vital for The BDS movement to have a fresh look at its present tactics and learn from recent effective campaigns across the world. That calls for achieving active cooperation with human rights and campaigning bodies - such as trade unions, charities, church and faith organisations, the ecological and Greenpeace movement, Stop the War Coalition , and the Campaign for Nuclear disarmament( CND). Ironically, and regrettably, Egypt is currently regarded by US as the main ally of Israel in the region. Its hard-line military regime is being granted $1.3 Billions p.a. in order to sustain US's interests in the region and help maintain Egypt-Israel's volatile alliance and help strengthening Israel's iron-grip on Gaza and Hamas. In contrast, the EU is taking a tougher stance on the illegal settlements in the West Bank by recently issuing a directive which insists that "all future agreements between the EU and Israel must explicitly exclude Jewish colonies in the West Bank or East Jerusalem. The EU guidelines will prohibit the issuing of grants, funding, prizes or scholarships unless a settlement exclusion clause is included. Israeli institutions and bodies situated across the pre-1967 Green Line – including the Golan Heights, occupied by Israel in 1967 and later annexed — will be automatically ineligible". The Arab league, however, seems to take less stringent approach. "In 1945, a year after it was founded, the Arab League started boycotting Zionist goods and services in Palestine. Then in 1948, the boycott was formalized to include three levels: primary, secondary and tertiary boycotts. · Primary Boycott: No Arab country should import Israeli goods or export goods to the Israeli market, either directly or indirectly. · Secondary Boycott: No Arab country should conduct business with any company already doing business with Israel. · Tertiary Boycott: No foreign company should do business with another foreign company that has links to Israel. The BDS movement ought to call on both the Arab League and the EU to enforce their initial guidelines to member-states by imposing sanctions on companies which profit and consolidate Israel's occupation of Palestinian land. BDS, as it stands, is a reactive campaign of non- violent protest against an entrenched oppressor - the State of Israel. It could not, in itself, achieve the declared goals of sovereignty and self-determination as declared by the PLO charter. Therefore, it has to be recognised as a mean of serving pro-active strategies which lead to the creation of independent Palestinian state in the West Bank and Gaza. Such a state should be established in the pre-1957 borders - being totally free of Jewish settlements and Israel's military presence with its capital as East Jerusalem. I believe that the crucial element in preparing the way for an internationally recognised Palestinian state, which will realise the aspirations of the Palestinian people for self-determination, is a full political representation of Hamas in the PLO and the Palestine Legislative Council, (Hamas does not recognise the PLO and although it won an absolute majority in the 2006 election to the PLC it carries very little political clout in it). The division between Hamas and Fatah is seen as a major obstacle to achieving significant political progress. The current split between Fatah and Hamas is quite fundamental since it is not only expressed in political terms but, more importantly, in ideological terms, namely, a secular versus a religion-based state. An official document in the form of an interim constitution/bill of rights, signed by both Fatah and Hamas is a key element for the foundation of an independent Palestinian state recognised by UN member-states. Such a document has to be issued in line with modern democratic principals which call for equal opportunities to all regardless gender, faith, or creed. (The human rights body of Lawyers for Palestine may have an important role to play in this respect). Libya's interim constitution, which was drafted soon after the ousting of Gaddafi , could be seen as a vital step that helped awarding international credibility to the new Libyan government. Similarly, a ceremonial Declaration of Independence could inaugurate the newly-formed Unity Government in Palestine and help cement its political status globally. 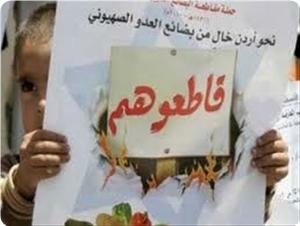 The recent turmoil in Syria and Egypt may encourage re-conciliation between Fatah and Hamas. The sudden removal of president Morsi from office by the Egyptian military and the consequent clampdown on the Muslim Brotherhood are bound to increase Hamas isolation. This may stir Hamas towards forging political links with Fatah under the PLO umbrella, leading to a Unity Government in Palestine which will be based on endorsed constitution/bill of rights (that will also include the rights of Palestinian refugees). Such a step would help create the foundations of a Palestinian state that would be able to achieve full sovereignty and effectively fight for justice through International laws as enshrined by UN Charter and resolutions, the International Court of Justice, human rights conventions/treaties and UN associated bodies. . The new independent Palestinian state will, then, gain the ability to form regional links with neighbouring countries from a secured position of power which will enhance its political sovereignty. At least five European states have recently warned companies and businessmen against engaging in business activities in Israeli settlements in the occupied Palestinian lands as they risk breaking the European Union's ban in this regard, according to reports sent by Israeli ambassadors to their foreign ministry. The countries mentioned by Israeli ambassadors include Britain, Germany, Denmark, Holland and Sweden, according to Yedioth Ahronoth newspaper. According to one of these reports, one European country's foreign office told a company involved in trade with an Israeli settlement inside the occupied Palestinian borders that its actions violate local and international laws which stipulates that settlements are illegal. The newspaper said that the company considered dropping out of the project but is also under pressure from Israel to stay on board. The newspaper quoted an official source from the Israeli foreign ministry as saying that other European Union (EU) countries, as well as the EU commission, are considering issuing warnings advising businessmen to avoid financial activities in the Israeli illegal settlements. However, the Israeli official belittled these European warnings as having no legal significance and politically-motivated. 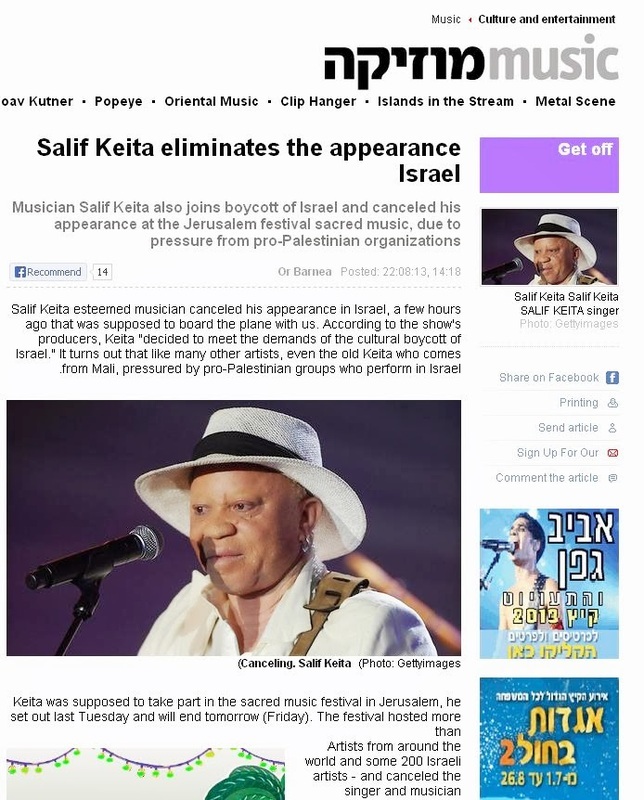 Israeli Ynet reported that the esteemed musician Salif Keita has joined the cultural boycott of Israel. Just hours before he was due to board a plane for Israel he decided "to meet the demands of the cultural boycott of Israel." BDS France, BDS South Africa, and activists from around the world had asked Keita to refrain from playing in Israel and join the cultural boycott. "I write to you now, my brothers and sisters in the family of Rock and Roll, to ask you to join with me, and thousands of other artists around the world, to declare a cultural boycott on Israel,"
"Please join me and all our brothers and sisters in global civil society in proclaiming our rejection of Apartheid in Israel and occupied Palestine, by pledging not to perform or exhibit in Israel or accept any award or funding from any institution linked to the government of Israel, until such time as Israel complies with international law and universal principles of human rights." Waters wrote in an open letter posted to his Facebook page and the Electronic Intifada. 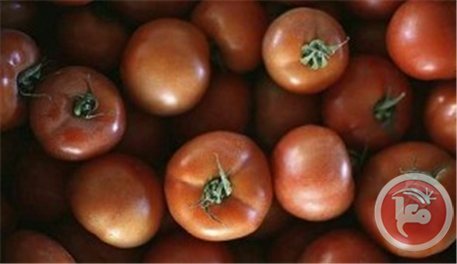 Tomato prices in the West Bank have dropped due to imports from Israel, prompting farmers and merchants to urge for intervention by the ministry of agriculture to protect local products. At the same time, consumers are welcoming the low prices which fell to a half a shekel per kilo as a result of the surplus after local and imported products flooded Palestinian markets. He noted that a kilo of tomatos reached 10 shekels at some points in 2013. Local merchant Abdul-Raof Ideis says the current prices are the result of a huge surplus in local markets because large quantities are being imported from Israel while the local harvest is already flooding the market. An official in the ministry of agriculture told Ma'an that it had already warned merchants in the central farmers market in Hebron to avoid importing tomatoes from Israel except with a special permit. The official, who spoke on the condition of anonymity, added that the ministry would start Thursday dumping tomatoes imported from Israel in an attempt to protect national products. 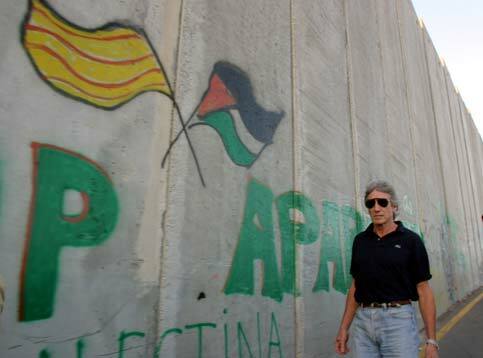 Breaking News: Roger Waters to his fellow musicians: Boycott Israel! Nigel Kennedy the virtuoso British violinist and violist, at The Recent Promenade Concerts at The Albert Hall in London, mentioned that Israel is apartheid. Nothing unusual there you might think, then one Baroness Deech, (Nee Fraenkel) disputed the fact that Israel is an apartheid state and prevailed upon the BBC to censor Kennedy’s performance by removing his statement. Baroness Deech produced not one shred of evidence to support her claim and yet the BBC, non-political, supposedly, acting solely on Baroness Deech's say so, suddenly went all 1984 on us. Well!! Time to stick my head above the parapet again, alongside my brother, Nigel Kennedy, where it belongs. And by the way, Nigel, great respect man. So here follows a letter last re-drafted in July. 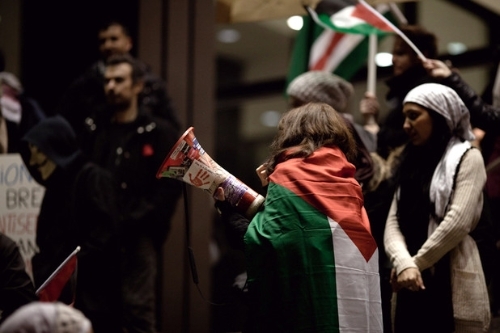 Momentum Farah says that this is only the latest in a years-long series of administrative efforts to silence Palestine solidarity activists at York and other Canadian universities. “Domino effect” “They passed BDS right there on the spot,” Farah said. “They didn’t even need a petition.” He added, “We [then] started to see a domino effect across Ontario,” Canada’s most populous province. Backlash Six days later, on 27 March, SAIA members and Palestine solidarity activists gathered inside Vari Hall, a long-time meeting place and student center on campus, to celebrate the passage of the boycott resolutions. They also called on the administration to act on the students’ demands. Sending a message When asked by The Electronic Intifada to respond to SAIA’s claims that it had been singled out, Joanne Rider, a York spokesperson, stated that SAIA was “reminded of the York University Senate policy on disruptive behavior in academic situations” in November 2012. Civil liberties concerns However, some civil liberties groups have a different opinion than that of the administration. Walk out Meanwhile, students say it is difficult to take Morrison’s remarks about exhausting attempts at dialogue seriously when the administration has walked out on students’ concerns. Solidarity Even though the York administration says it is unwilling to reinstate Students Against Israeli Apartheid before January 2014, or rescind its trespass order against Hammam Farah, student groups and activists are keeping up the pressure. This article was originally published on The Electronic Intifada. Click here to view original.